I tried working out and dieting alone on and off for the past few years but my lack of motivationand dieting alone on and off for the past few years but my lack of motivation and sweet tooth always set me back in my weight loss goals. After months of baggy clothing, sweatshirts, and post college weight gain, I finally decided to get serious and hired Elmore as my personal trainer. What do you want in a trainer? 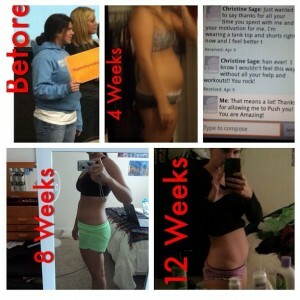 RESULTS, MOTIVATION, and a KNOWLEDGABLE, PROFESSIONAL TRAINER. Elmore has all these qualities and more. Elmore is well educated in health fitness and body muscles, tailors each session to his clients, and is an overall genuine person. I would recommend him to anyone.